Abstract: In this paper I provide a new analysis of so called "expletive negation" in Russian. Brown and Franks (1995) discovered that negation sometimes licenses the genitive of negation while being unable to license a particular class of negative concord items, ni- phrases like nikto 'nobody'. In the present paper I show that the assumption made in the literature according to which "expletive negation" lacks negative force or is semantically vacuous is not well grounded. "Expletive negation" is semantically real negation; it just occupies an unusually high clausal position. The asymmetry between the genitive of negation on the one hand and ni-phrases on the other hand is explained in terms of locality. The investigation yields a number of further results. Genitive of negation is structural Case and susceptible to Relativized Minimality. Ni-phrases are analyzed as polarity sensitive universal quantifiers, whose movement is constrained in ways typical of quantifier raising. 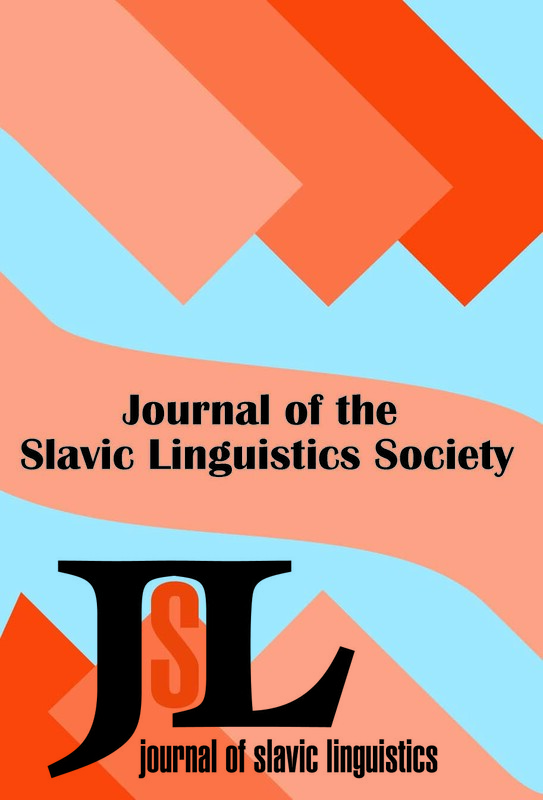 Abstract: This paper provides a detailed description of the Polish and Ukrainian -no/-to+ accusative construction, with considerable attention paid to how the two constructions differ and to their relevance for current morphological and syntactic theory. It is argued that Polish and Ukrainian -no/-to differ with respect to where the word-final /-no/-to affix is generated in the narrow syntax. A wide range of seemingly unrelated syntactic properties follow from this single claim. In the case of Polish -no/-to, it is shown that the word-final affix is not voice-altering, but rather generated in the head of a higher Aux projection. A separationist view of Morphology is adopted in which the stem and affix are joined post -syntactically. Ukrainian -no/-to is a genuine passive. This construction is related more generally to a class of accusative-Case-marked unaccusatives. Here it is shown that a Tense projection impoverished for agreement (o-incomplete T) is a necessary (and surprising) condition for unaccusatives to appear with ACC-Case-marked complements. Abstract: This paper examines the likely candidates for the Parasitic Gap (PG) construction in Bulgarian. Focusing on the properties of PGs known from previously studied languages, I conclude that there are no genuine PGs in Bulgarian. I also argue that without-clauses are irrelevant for the study of PGs. They involve a different mechanism for licensing a null element inside the clause.